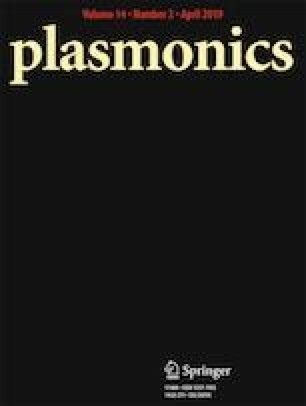 Microstructured optical fiber can be used as polarized filters by filling the metal into the air holes in cladding to generate surface plasmon resonance. In this paper, we present a V-type birefringence microstructure optical fiber with embedded dual copper wires that were made by the stack-drawing method, and the dual copper wires were aligned in the vertical direction symmetrically. Through adjusting the fiber structure parameters, we found the fiber can be easily excited strong surface plasmon resonance in the S and L waveband. Then the core mode is completely coupled into the copper wires and generates the surface plasmon resonance in the y-polarized direction, to achieve the purpose of directional filtering. The experimental results are consistent with the theory. The authors acknowledge the financial support from National Natural Science Foundation of China Grant Nos. 61575066, 61735005, and 61527822, Guangdong Province University and Colleges Pearl River Scholar Funded Scheme (2017). Guangdong Nature Science Foundation Grant No. 2017A030313333, Science and Technology Program of Guangzhou, China (201707010133), Science and Technology Planning Project of Guangdong Province (2017KZ010101), and supported by the Innovation Project of Graduate School of South China Normal University.